In the '90s there was a mad dash from seed breeders and sellers to find that ultimate skunk. During this period, lots of growers tried to replicate that Mexican, Colombian, Afghan hybrid which resulted in a huge variety of new generation skunks. The genetic features of these cannabis plants would eventually lay the foundation for almost every marijuana plant in Europe. At Royal Queen Seeds we decided to bring you a typical Skunk hybrid at a low-cost price. Perfect for a first-time grower who doesn't want to invest too much in his experimental growing. This Special Queen is a classic skunk that grows with ease, doesn't stretch too much and can be harvested in 8 weeks. 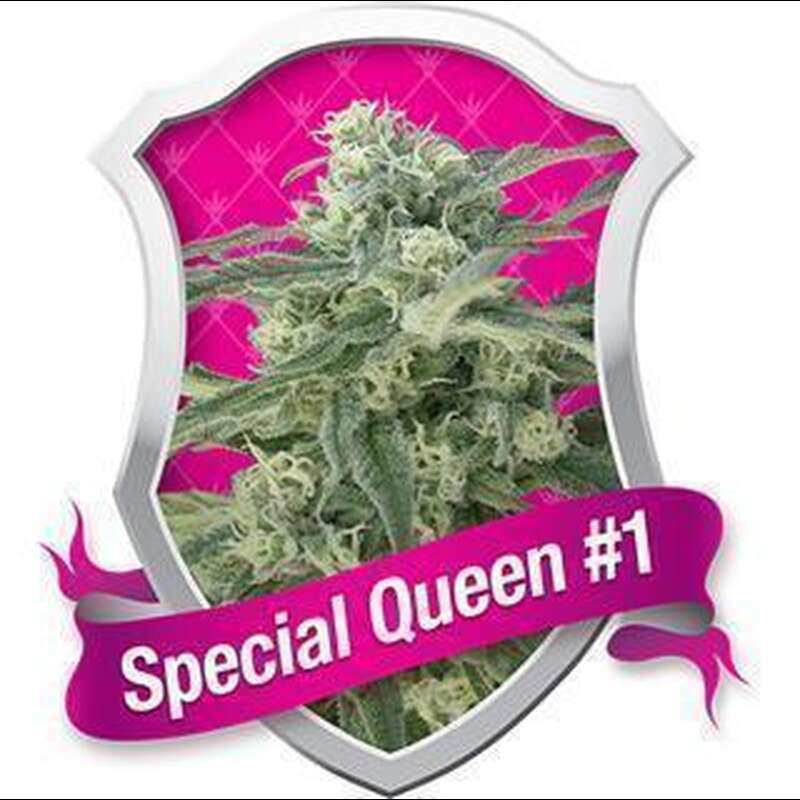 Indoors, Special Queen feminized will yield about 50g per plant, or 500g per square metre under a 600W light. Outdoors, this plant will grow big and strong and can yield over 550 g per plant. Care should be given to provide it with all the nutrients and water it will need to grow big and strong, while making sure not to give it too much.